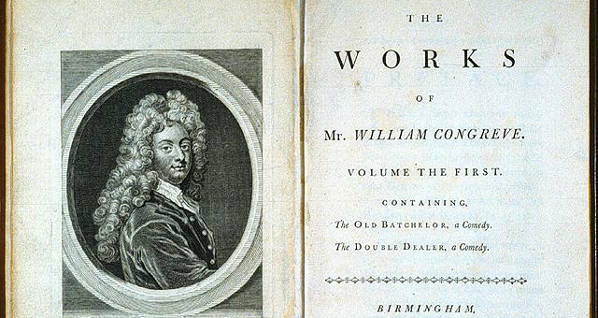 William Congreve (1670 – 1729) was an English poet and playwright. Two of his characteristic pithy and witty turns of phrase, both from the play “The Mourning Bride”, though now misquoted and attributed to Shakespeare, are still in common usage to the point of being clichés. One is “Music has charms to soothe a savage breast,” which is the first line of the play and the other is “Heaven has no rage like love to hatred turned, Nor hell a fury like a woman scorned.” While this has become “Hell hath no fury like a woman scorned”, it is no less true today than it was in the seventeenth century. There is a story that has earned the status of an urban myth about a man who answered a classified advertisement offering an “almost new” Porsche for the ridiculously low price of $50 and finds that the woman really is selling the car so cheaply because her husband ran off with a younger woman and asked her to sell the car and send him the money. I don’t know who said it first but “History repeats itself.” Shanghai News reported that a married Chinese tycoon named Fan who had five mistresses was one of the victims of the great global meltdown and decided to reduce his harem to only one mistress. He held a contest among the five and, as the newspaper reported, one of the women named Yu “was eliminated in the first-round beauty competition and a woman surnamed Liu eventually won after dominating the drinking round.” No more “I love Yu”. He kicked her out of the apartment in which she kept her. However, driving the “family” car for a last outing, Yu steered the car over a cliff. Fan had to pay Yu’s family compensation and his wife sued him for divorce. In another incident, three “scorned” women, a man’s wife and two mistresses, super-glued his private parts to his stomach. It seemed they were no longer stuck on him and he took longer to become unstuck than his relationship with them. The wife also wants him to sell a 1999 Nissan Pathfinder, a variety of vintage red telephone boxes, boxing lessons, and a quintet of creepy murderous teddy bears. The man’s ad in Gumtree is a classic. *Tony Deyal was last seen saying that until you describe your wife as “cruel” in public you will never know, or come even close to knowing, what “cruel” really means.